After being introduced at last year’s IPCPR trade show, the Warped Serie Gran Reserva 1988 finally began shipping to retailers this summer. Named for the birth year of Warped owner Kyle Gellis – which makes me feel incredibly old – the Serie Gran Reserva 1988 comes in a single size and is a Nicaraguan puro comprised of Aganorsa tobacco which includes Corojo ’99 and Criollo ’98. 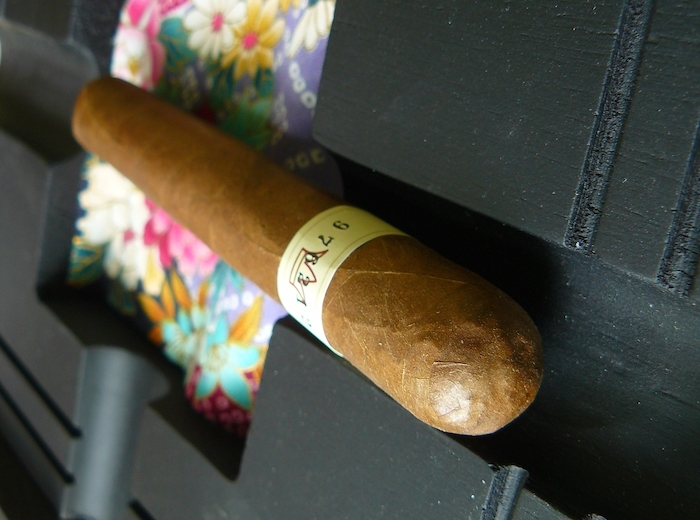 It is produced at Casa Fernandez’ factory Tabacos Valle de Jalapa (TABSA) in Esteli, Nicaragua and comes in 25 count boxes priced at $9 per cigar. Big thanks to Ana at Cuenca Cigars for getting a few of these to me! The Serie Gran Reserva 1988 comes draped in a uniformly chocolate brown wrapper that is seamlessly rolled and feels extremely solid when lightly squeezed. Any veins that can be seen are very thin and the surface of the leaf is satiny smooth. The band is extremely simple with a maroon outline of a “W” shaped crown and the number “976212” stamped over it in black (please don’t ask what significance that carries – I have no idea) on an off-white/beige background. 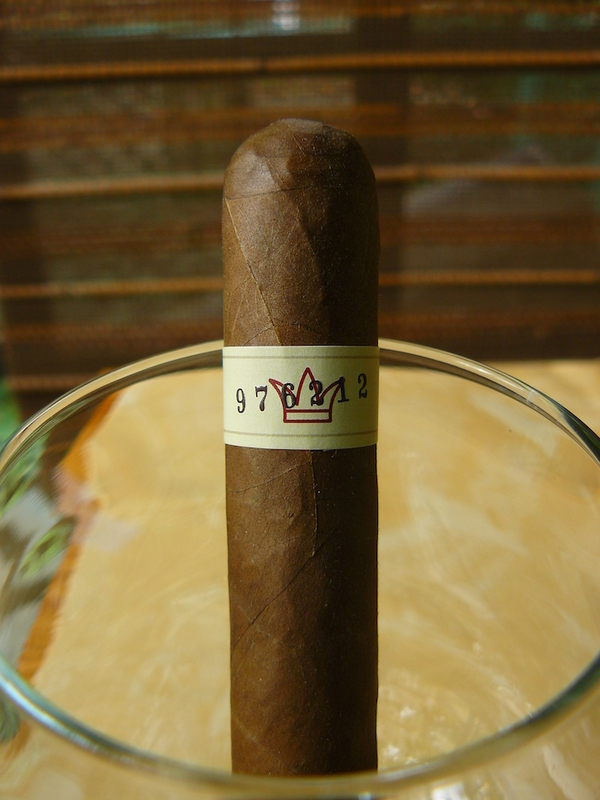 Turning to the back of the cigar, “1988” appears on the end of the band. It’s quite a surprisingly subdued look for a commemorative cigar, and I like that. 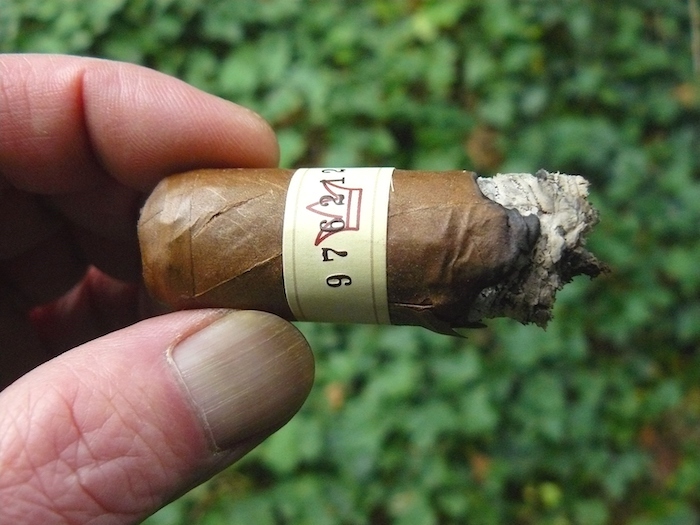 The wrapper gives off a tart earthy and woody barnyard scent, while the foot shows earthy tobacco and wood. The cold draw has just the right amount of resistance for me, and brings sweet spice and tobacco. The sweet spice, musk, and sweet cedar combine with light pepper and a hint of leather to kick off the Warped Serie Gran Reserva 1988. The nice draw allows for a copious amount of smoke with each draw. While the pepper is not noticeably strong, it does linger on the palate and especially with a good burn of the sinuses on the retrohale. The musk takes on a bigger presence along with well-aged tobacco as the wood falls back. The burn line is thin and fairly even, leaving behind a light gray ash that lasts nearly 1½” before falling. As the first third nears its end, a nice bready note makes its way into the mix. As the 1988 moves into its middle section, an underlying creaminess begins to show up and the pepper suddenly drops back, as does the sweet spice, but there is still sweetness in the background. The ash has gotten a little flaky, but that may be due to the breezy conditions today. The musk is holding on with the musty natural tobacco and the underlying sweetness has taken on a caramel-like character. Slightly charred and savory notes greet me as the Warped Serie Gran Reserva 1988 begins its final third, adding to the complexity of the smoke. The pepper has come back and the wrapper has developed a crack, which I again blame on the breezy conditions. The flavors have intensified, bringing in a bit of citrus tang, and the strength has moved up a tick from low to low-medium, while the body has pretty much maintained a medium profile throughout. 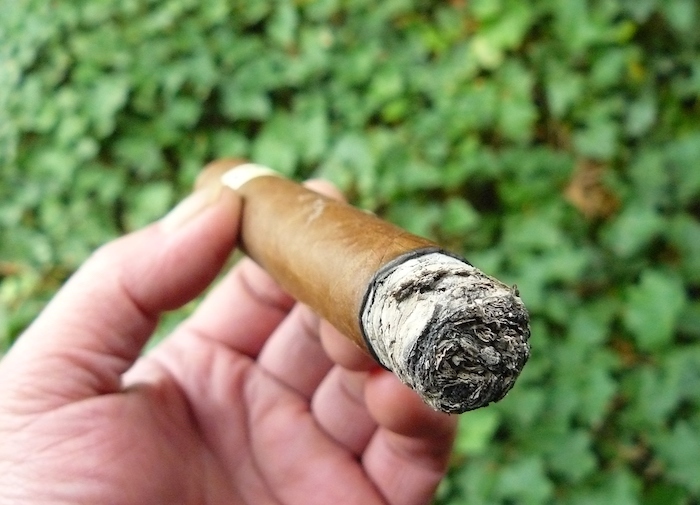 The cigar has remained cool and firm down to the nub. I’ve really liked the Warped cigars that I’ve had so far, and this one is no exception. There’s a decent amount of complexity and the transitions are somewhat subtle, but it carries a great balance of rich flavors on a medium body, and makes for a very enjoyable experience. Combined with the one I previously smoked indoors, I would have to say that the construction is excellent, as is the burn. It can easily be smoked at various times of the day and will appeal to a wide range of smokers. With a more than fair price, I have no problem giving the Warped Serie Gran Reserva 1988 a strong recommendation, so pick up a few or a lot. You can get them from our good friends at Cuenca Cigars here. Besides being a top-notch purveyor of cigars, Cuenca Cigars also has a Montecristo Lounge, so they have a good variety of beverages to offer. 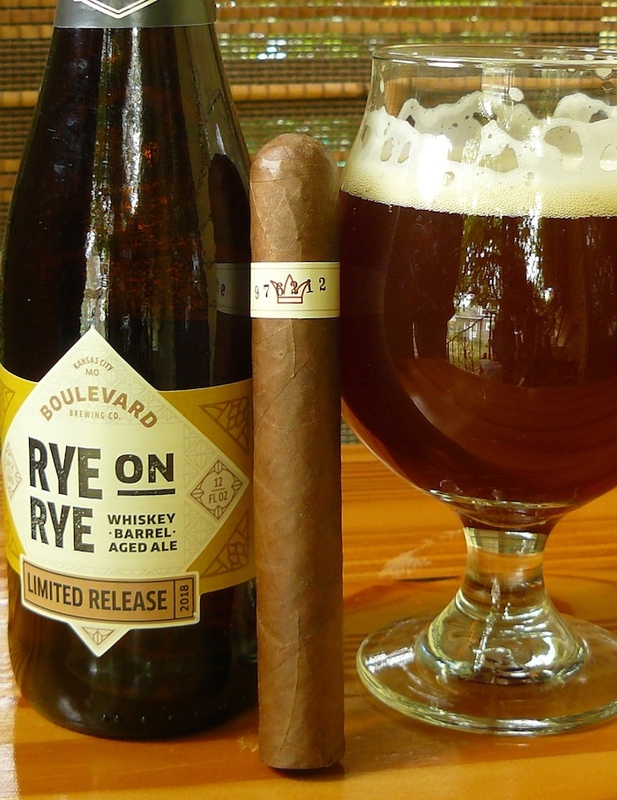 It so happens that Ana sent me a few of Boulevard Brewing’s Rye on Rye that she had just got in, which is lucky for me, since they are pretty much sold out here. Thanks Ana! The Rye on Rye is a limited release rye ale that has been aged in Templeton Rye whiskey barrels, and carries a whopping 12% ABV. With a fairly light body, but full flavors of bright spicy rye, ripe apple, a nice sweetness, and a touch of booziness, the beer opens up and deepens as it warms. It matched up terrifically with the Warped Serie Gran Reserva 1988, complementing the brighter flavors while adding a bit of fruitiness to the mix. 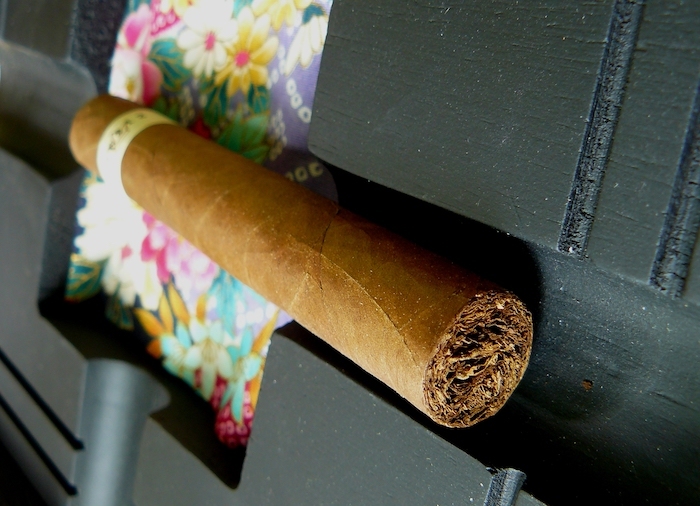 This cigar will go well with a number of other libations including a Belgian pale or strong ale, a smooth bourbon or Scotch, or a good strong cup of coffee. Typo on my part regarding the size everyone! Should be 5 1/4 x 50, not 5 1/4 x 40. Sorry! Thanks for fixing it, Tony.